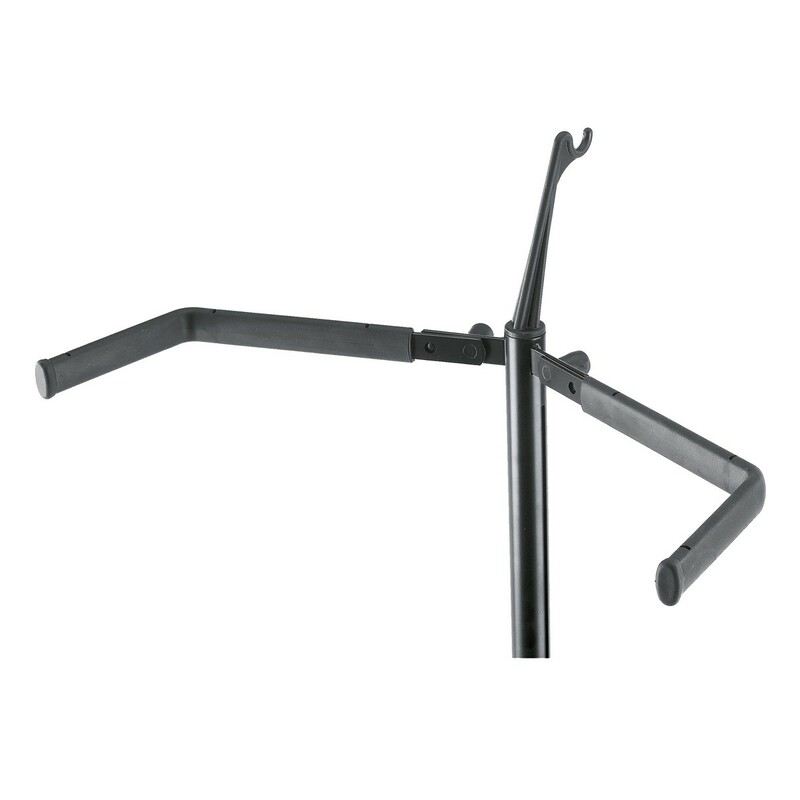 This K&M Double Bass Stand is made from high quality, reliable steel and is finished in black. The stand is suitable for all string basses and includes a bow holder as a practical addition. 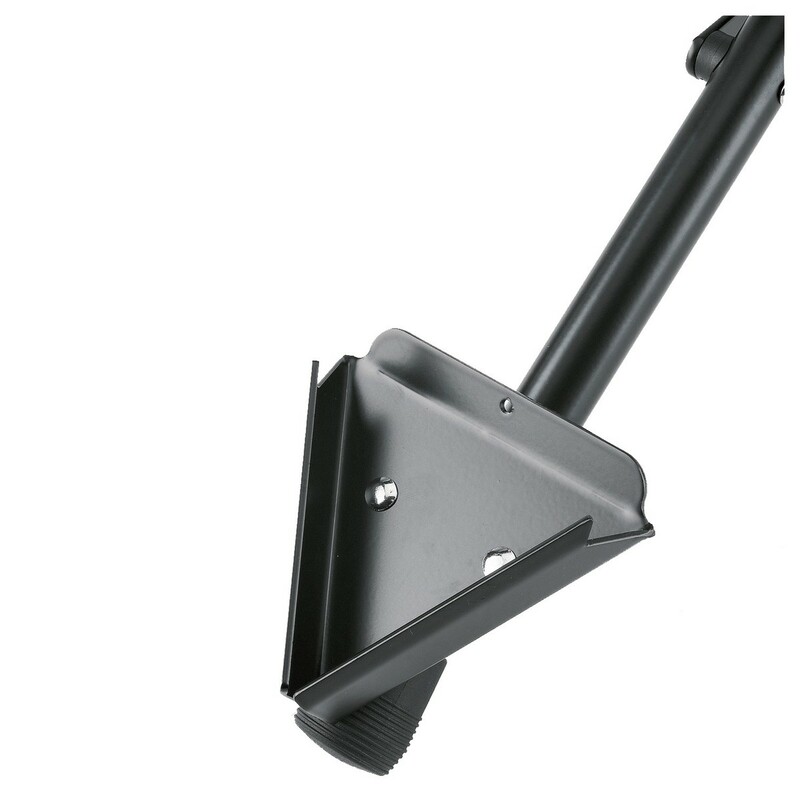 Each tube leg features its own cross brace and rubber foot, ensuring stability while also preventing damage to the surface beneath. 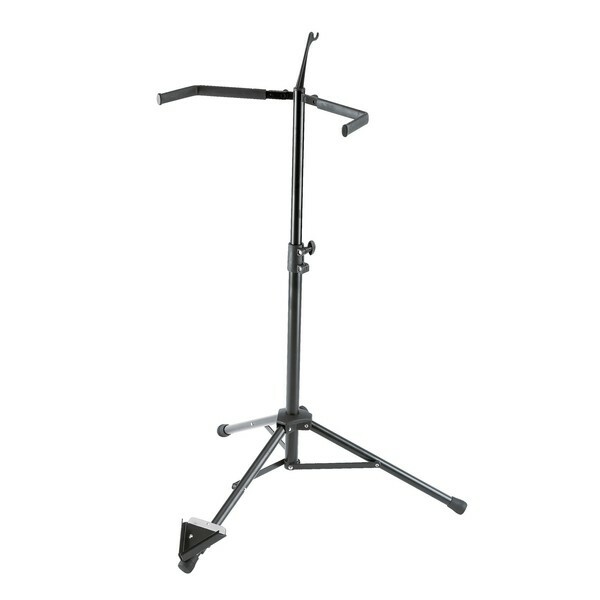 A 2-piece folding design is desirable among travelling musicians, enabling the stand to be folded down into a compact size. The stand is height adjustable so can fit all double basses comfortably. To ensure further protection for your instrument K&M has added a rubber coating to both support arms.